Zoosk is one of the most renown matchmaking online dating site in Canada for singles over 50. The dating site is based in a matchmaking system that uses new technologies and social media with serious algorithms to find the most accurate matches for senior singles. The portal became popular for its Behavioral Matchmaking engine that has successfully managed to create lots of happy love stories. The main trait of this dating site is how it constantly learns from your behaviour in order to suggest you the best possible matches. 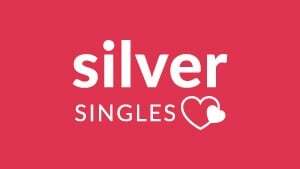 A great way to meet the most interesting senior singles in Canada! There are a lot of comments and opinions online about the services the matchmaker offers. In the following Zoosk Review you can find relevant information that can help you decide if this is the Best Dating Site in Canada for you! 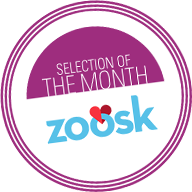 Our Zoosk Canada review includes a guide to get started and register for free, information about how its unique Behavioral Matchmaking search engine works to connect like-minded Zoosk seniors, interesting facts about the dating giant as well as details about best features, Zoosk prices, and a useful list with pros & cons. Senior dating is becoming very popular in Canada. Zoosk is one of the best alternatives out there. We give you some tips on how to get started, and take the most of your time while on the platform. The registration process is fairly easy. It is completely free to sign-up in Zoosk, and it won’t take you long. This website is not based on a long questionnaire or a personality test, but rather on how you interact with other Zoosk seniors while using its services. To begin with, you need to fill a short form with some basic details about yourself: your gender and romantic preferences, your date of birth, and your location. You will be required to include an email address, and create a password. As in every website about senior dating, the portal asks you to create your profile, which works like a “date card”. Indeed, one of the most important parts of the online dating experience as it is like your digital presentation card. In your profile you can describe yourself and say how your perfect partner would be. You can add information such as your main interests, and the things you do on a daily basis. Thanks to the feature “Zoosk’s story”, other senior singles can have an idea about the type of dater you are. In Zoosk’s ideal date and Zoosk’s perfect match, you can give more details about your ideal relationship. It’s not just about listing the traits that you are looking for in a potential match, but more about describing in detail what makes the ideal partner, and how your ideal first date would be! Then, you simply need to add some photos to make your senior dating profile more appealing. Zook focuses on the profiles you visit and on the search filters, you look for in order to create the best dating match for you. Once you have registered and completed your profile, you have the option to complete a special questionnaire that is used to shape your dating and romantic profile. If you are looking for senior singles in your area or mature daters from other cities in Canada with very specific preferences, Zoosk’s test can be of a great help. Your answers help the dating site to target, in the most efficient way, your ideal partner. A senior Canadian man looking for a serious woman shouldn’t be much complicated to find. However, if you also want to share the same values and preferences, and you manage your online senior dating experience in the same way (behave in the same way while using the platform) as other particular singles, then that is when the behavioural matchmaking algorithm comes in handy. Your likes, visits, and the way you choose your matches while using features like the Carousel (like Tinder’s swiping system) is considered when Zoosk recommends you potential partners. This is called “SmartPick”. Zoosk’s senior dating experts analyse your test results, check your profile information, and assess the way you interact with other senior singles, and then, creates a list of users who have a great potential to become a great match! Zoosk has been around for a while. Here are some relevant facts about the senior dating site that could help you to make up your mind about whether if this is a serious dating site or not. With a very visual interface, Zoosk is easy to use. Profiles come with pictures and you can read the information they provided to gauge your interest in a particular person. The design really fits its audience. Whether you are looking for serious or more discreet dating experiences, Zoosk offers you a space where singles over 50s from all over Canada can safely get to know each other. Zoosk is an international dating website that has significantly grown over the last few years thanks to its popularity among seniors. You can use some features for free in Zoosk, but if you want to connect and chat with other senior singles in Canada, then you should get one of the subscriptions. As a Premium member, you will be able to send unlimited messages. To unblock other Premium features to make your profile to stand out from competitors, you can also use Zoosk coins that can be purchased separately from the monthly subscriptions. Zoosk has implemented very strong safety measures. All the information is encrypted, and it is very important to note that all profiles are reviewed before their publication. It is a great security tool that ensures the quality and honesty of the profiles. They also count with the support of a great help centre at the disposal of its Premium Members. A good way to assist their users throughout their online senior dating journey. The platform offers a guide with tips about safe senior dating. If you have any query about how the site works, you can go to the FAQ page or get in touch with Zoosk customer service through a contact form. Many users don’t cancel their account when they find someone special on the site. If you want to stop using its services, you can delete your profile from the “Settings” area. All what you need to do is to click on “Account Status” and then select the “Deactivate Zoosk Account” option. Your profile information and photos as well as your dating history will be completely removed. Keep in mind that Zoosk subscriptions are renewed automatically, so if you are Premium, before deleting your profile, you would need to stop your membership. In “Settings” you can find the option “Subscription”. Then, click on “Cancel my Subscription” to cancel it. Numbers speak volumes! 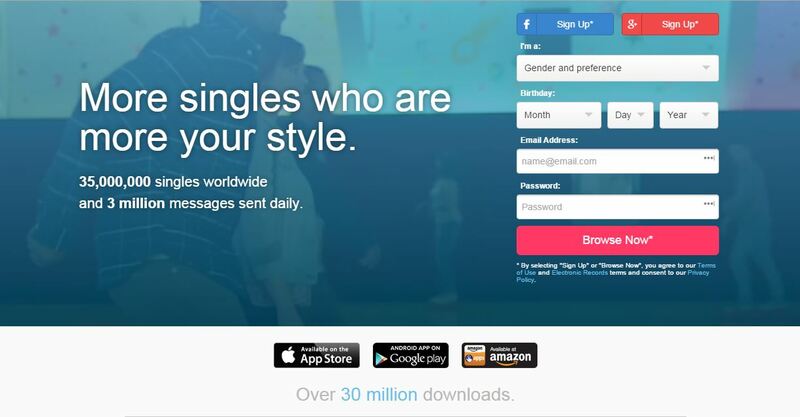 More than 35 million singles around the globe have trusted Zoosk services. The app is also number 1 dating brand in the Apple App store. In Canada, Zoosk has positioned as one of the leading dating portals for singles over 50s who look for a fulfilling love life. The reason is simple: it focuses on behaviour rather than on personality. The Behavioral Matchmaking system is a clever way of analyzing senior’s behaviours on the dating site in order to suggest accurate matches. As a result, it offers a personalized dating experience based on actual actions. If you want to instantly meet and mingle with dozens of senior singles in Canada, but don’t want to spend hours solving personality tests or browsing through profiles, Zoosk Canada is a great tool. Ready to become one of the popular Zoosk seniors?